Rentalorry’s movers and packers and help with single item moving as well as entire apartment relocation. 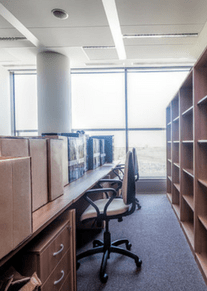 Our professional office movers and packers can help with the dismantling and assembling of office furniture. International moves can be quite tiresome if you don’t know the proper processes. Let us handle that for you. Individuals and corporations might need movers and packers for various reasons – relocation of homes or offices. Perhaps there is always an option to engage the help of family members or employees to save the cost of relocation. Yet, hiring movers and packers will always be the better solution. Find a range of moving and packing services here at Rentalorry to make your relocation less tiring and more efficient. We hired Rentalorry after their movers came down to our office to do a site quotation. They were really professional and knew exactly what they were doing. Everything went smoothly and they also helped us to assemble the furniture at the new office. Would definitely recommend them to other companies. Engaged Rentalorry to help with the moving of the bulky furniture in our home. They helped to wrap and pack everything nicely so that the items would not be damaged. Reliable, would use them again in the future. Transport Only – The transport only option is one of the most popular options because it is the cheapest and most convenient. Our drivers will bring the appropriate vehicles to your doorstep and you need to only load the belongings onto the vehicle. No need to worry about whether you have the right license or where to return the vehicle, our drivers will settle all of that for you. Full Service Movers and Packers – With this service, our movers will pack, wrap and move all your belongings to your new location. Just let us know what items you need help with or arrange an appointment to do a site quotation and we will get everything settled for you. This service is suitable for both home moving and office moving. The movers and packers from a moving company will have greater experience moving items than any of your employees. With experience comes knowledge of how to get things done more efficiently. Perhaps doing away with the help from movers and packers will cut back on your relocation cost but relocating more efficiently will also mean your business can resume earlier as well. All our staff at Rentalorry are well-trained and they come with a wealth of moving experience. All your cargo, especially the bulky and delicate ones, will be in good hands with the people at Rentalorry. Given their experience, they will know exactly how to handle your cargo such that they are safely transported to your new location without damage. Rentalorry has fleets of vans, trucks, lorries and pick-ups. You are bound to find a vehicle that caters to all your moving needs. Feel free to also customize your moving package as well. Your rented vehicle can come with or without a driver and you can choose the duration of rent too!